The DeKalb County Community Foundation recognizes the importance of supporting young children and their families across one of the most difficult transition in life: from early childhood to kindergarten. Early childhood experiences play a significant role in a child’s development and the degree to which a child is ready for kindergarten. In 2016, Community Foundation board members and professionals working in early care and kindergarten education formed the Crib to Career – Kindergarten Readiness Working Group. With guidance from this working group, the Community Foundation commissioned the DeKalb County Kindergarten Readiness Study. Conducted by the NIU Center for Governmental Studies and the NIU Center for P20 Engagement, this study provides background information to launch and inform the discussion of how best DeKalb County may prepare our children for success in school and life. Specific questions about the study may be directed to Dr. Amy Jo Clemens, ajclemens@niu.edu. Stay tuned for more information as this new and exciting initiative develops. For more information and to find out how you can become involved, please contact Community Engagement Director Teri Spartz at 815-748-5383 or t.spartz@dekalbccf.org. The DeKalb County Community Foundation's commitment and support to early care and education is made possible by 20 CommunityWorks funds, generating over $100,000 annually. Learn more about CommunityWorks. The first CommunityWorks Early Care and Education initiative Impact Plan expired in 2013 although its impact significantly remains. Its goal was to increase the quality, availability and affordability of child care in DeKalb County while increasing the support of the business community. 2011 Child Care Summary. The Community Foundation partnered with 4-C: Community Coordinated Child Care to support a full time Quality Rating System (QRS) Specialist position. Grants issued in 2008-2012 enabled child care programs to enhance the care they provide while at the same time positioning programs to receive additional state funding to further enhance their programs. Between 2010 and 2012, over $1 million was received by programs in DeKalb County from leveraging Community Foundation funding. All eligible nonprofit centers in DeKalb County achieved star ratings and the county is home to two of the six 4-star rated child care centers in Illinois. 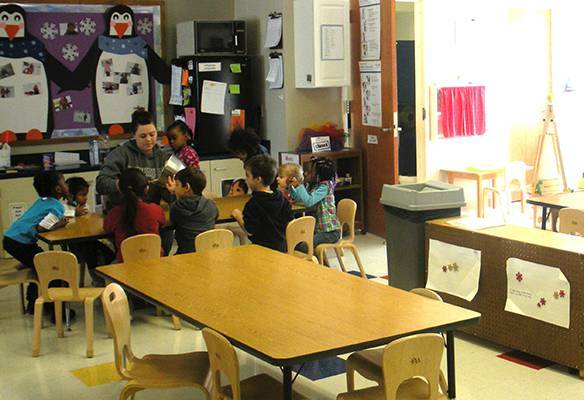 A $9,550 grant in 2012 enabled 4-C to meet the increased need of consultation and training of DeKalb County’s nonprofit child care centers in preparation for the Illinois Quality Rating and Improvement System (CRIS). Going forward, 4-C has been able to sustain the Specialist position without need for Community Foundation support.